What do you think about this? Punta Gorda is considering building a gym for adults inside a park. And the winner of our gift card drawing this month is Exec Cooling! To enter next month’s drawing, simply like our Facebook page here. 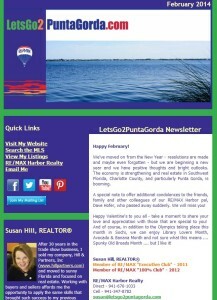 Please provide your contact information via email to krysti@letsgo2puntagorda.com or online through www.letsgo2puntagorda.com/contact.html, so we can send you your gift card if you are the winner. How many of you have been to The Orange House Wine Bar in Punta Gorda? It’s a fantastic place for food, wine, and music. You must try it some time!